SSC JE 2018 Apply Online – Staff Selection Commission (SSC) will release the Application Form for Junior Engineer 2018 on December 15, 2018, at ssc.nic.in. 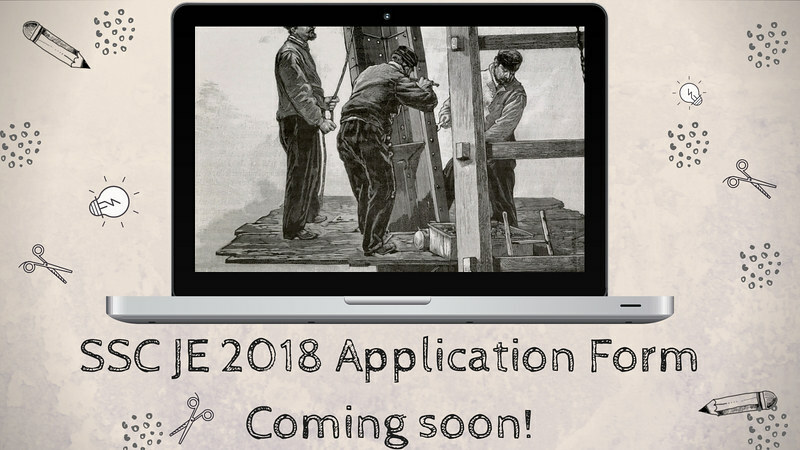 The application window of SSC JE 2018 will active till January 07, 2018. The applications are invited from the eligible and the interested candidates. 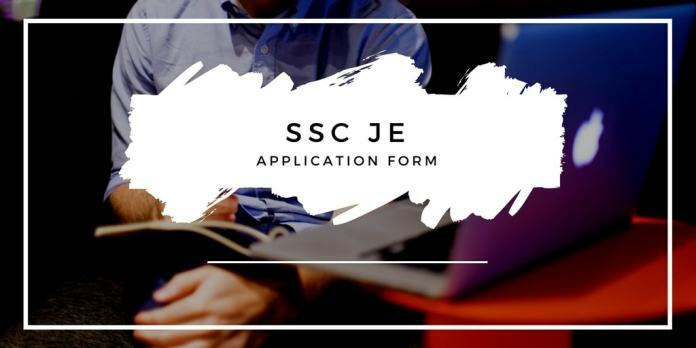 The SSC JE Application Form will be available only online. Apart from that, no other mode will be available to Apply Online for SSC JE 2018. Know here how to apply, SSC JE 2018 Apply Online, Application Form fee, dates and then apply online. Check here more details about SSC JE 2018 Apply Online like the process of registration, fee etc. The department has notified various posts in Civil and Electrical. For the eligible and interested candidates. SSC department allowed the aspirants to fill the Online Application Form for SSC JE for their favorable posts. SSC keeps liberating Junior Engineer posts for Civil, Mechanical, and Electrical divisions. The department allows candidates to file the application form at ssc.nic.in that is the official site for the Staff Selection Commission. Nationality: Candidate should be Citizen of India. Age limit: The candidate should be between 18 to 32 years. The age relaxation policy set by the government rules are also applicable here. Educational Qualification: A candidate must possess either degree or Diploma in Civil/ Electrical/ Mechanical Engineering from a recognized university. What Documents will be needed for filling the SSC JE Application Form? ⇒Valid Identity Proof such as Adhaar Card, Voter Id Card, Pan Card, Driving License etc. The candidates have to upload some sort of documents to make application successful. Check the name of the documents and specification from here. The specification of the photograph and signature is given below. The candidates have to upload them as the specification set by the commission. How To Apply Online for SSC JE 2018? SSC will release the application form on ssc.nic.in. In order to apply accurately, the candidates have to follow the given steps. The above link is the direct link for the application form. This will be activated soon when the commission will release the application form. If you are a first-time applicant at SSC Online Application portal, then click on New Registration. Enter details asked for registration. This generates a Registration ID and password; keep them safe. You need to upload a photograph as well as a signature in jpg format. Photograph 4 – 12 kb Signature 1 – 12 kb. Upload of photographs is also a part of registration. Next, you will fill SSC JE Online Application Form. Choices will be made pertaining to the exam. Such as you will have to mention whether you are applying for Junior Engineer (Civil) or Junior Engineer (Quantity Surveying & Contract) or Junior Engineer (Electrical). Also, you will mention postcode preferences. In addition, select choices of exam cities. After completion of the above steps, the candidates have to pay the application fee in the available modes. At last verify your entire application form, if found all correct then print the confirmation letter for future reference. Or if discrepancy found at this time then you can modify that and print the confirmation later. While filling the application form one should choose the post for which /he she is applying. This option comes at serial number 16 in the application form. After final selection commission may assign you the preferred post. Since this selection shall be final, therefore make it wisely. Now the question arises what should be the preference order? Setting a preference order may be a great task when you are unaware of vacancy. So you have to decide the order of preference as per your choice. If you are feeling difficulty in choosing the preference and or if you are totally confused then you can probably ask people currently working in these departments to know about nature of work and pros and cons of each. Either way, your decision should be final as you cannot make any changes to it later. Those who will fill the application form in time, SSC will issue the admit card for Paper – I. It will release the admit card, on its Official website i. e. ssc.nic.in. Providing registration id and password will be the method for downloading the admit card from the official website. The admit card for the SSC JE exam 2018 will be released for Paper 1 & 2 Separately. In so for the Saff Selection Commission has only released the application related dates. The rest of the details on this page is as per the last year advertisement. As soon as SSC releases any notification regarding SSC JE 2018 Apply Online, we will update the page here.